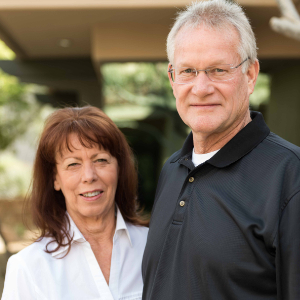 Lori and Jim have each run successful businesses for over 35 years and have learned that if we are able to serve our clients with the respect and knowledge that we would want; we will make customers and friends for life. We know that this is what we all try to achieve and hope for in any kind of relationship. Jim is a native Phoenician but has travelled and lived in various places such as Seattle for 35 years and Australia for 5 years. Jim has four other siblings from Phoenix and a 24 year old son born and currently living in Seattle. Jim had a swimming scholarship to the University of Arizona and still loves sports and the outdoors. He used to be a skier but due to too many knee surgeries, he had to give that up. His family is very important to him just as his friends are. Jim has been a mortgage advisor for over 10 years. If you allow us to work for you we promise to treat you as we would our family. I know that you will be very pleased with the service that we provide you. We both realize that with today's economy and the way things are changing ever so rapidly that everyone's needs are different. We strive to customize our service to your needs. We are thorough and professional and will do everything possible to please you, our client and friend. Running our own businesses has taught us to be creative and think outside the box. We look forward to meeting with you and can't wait for the opportunity to serve you.